Osteoporosis is common, may show no symptoms. It can have devastating impact, yet IS treatable. 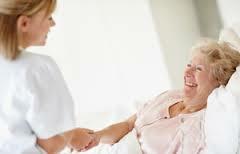 In the UK alone there are over 1,100 deaths that occur every month as a result of a hip fracture. At the London Osteoporosis Clinic, we think this is completely unacceptable – especially when many of these fractures could have been prevented. Osteoporosis is a condition where bones become fragile and if not treated, can progress painlessly until, seemingly from nowhere, a bone breaks. There are over 520,000 osteoporosis related fractures in the UK per year, yet many fractures can be prevented by treatment. The bones in our skeleton are made of a thick outer shell and a strong inner mesh filled with collagen (protein), calcium salts and other minerals. The bone structure is lattice-like. Osteoporosis occurs when the spokes of the lattice thin and break. Although osteoporosis usually affects the whole skeleton, the most common fractures are in the wrist, spine and hip. Your bones are in a constant state of renewal — new bone is made and old bone is broken down. When young, your body makes new bone faster than it breaks down old bone and your bone mass increases. Most people reach their peak bone mass by their early 30s. As we age, bone mass is lost faster than it’s created. How likely you are to develop osteoporosis depends partly on how much bone mass you attained in your youth. The higher your peak bone mass, the more bone you have “in the bank” the less likely you are to develop osteoporosis as you age. Osteoporosis causes bones to loss of microscopic struts, becoming thin and brittle and more prone to a break after a fall or a minor stress such as bending or cough. These broken bones are referred to as fragility fractures. Osteoporotic bones become fragile and if not treated, can progress painlessly until a bone breaks. Osteoporosis can be a silent disease or it can a devastating impact – have a look these patient stores. Osteoporosis is common and growing condition and impacts many of us directly or indirectly. Osteoporosis is a condition where bones become fragile and if not prevented or treated, can progress painlessly until a bone breaks, yet there are many treatments. There are over 300,000 osteoporosis related fractures in the UK per year, yet many fractures can be prevented by treatment. In the UK over 1,100 individuals die every month following a hip fracture alone. We think this is unacceptable when many of these fractures can be prevented. The bones in our skeleton are made of a thick outer shell and a strong inner mesh filled with collagen (protein), calcium salts and other minerals. The bone structure is lattice-like. Osteoporosis occurs when the spokes of the lattice thin and break. Although osteoporosis usually affects the whole skeleton, the most common fractures are in the wrist, spine and hip. If you think you or your family are at risk of osteoporosis or have osteoporosis; there are several new treatments to cut the risk of future fractures and complications.